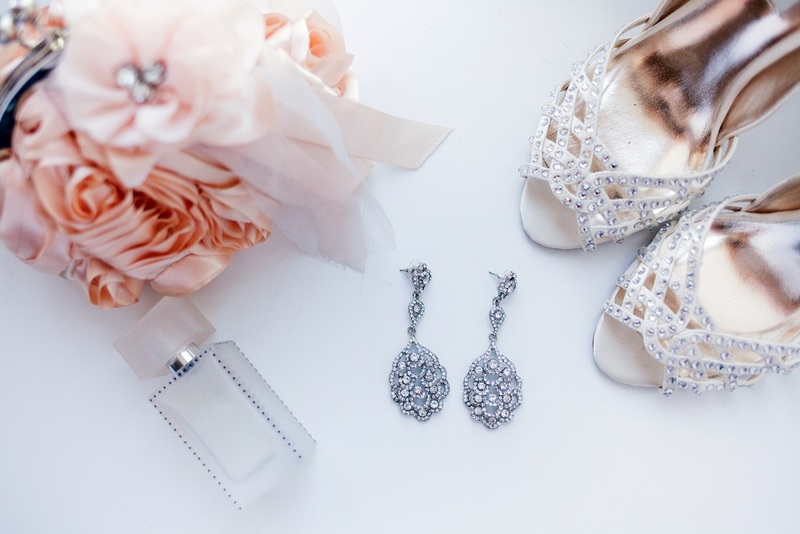 Should You Wear Matching Bridal Jewelry? Even the most modern bride might consider incorporating the classic “something old and something borrowed” tradition into her wedding. Many times, these old and borrowed items come in the form of jewelry passed down from previous generations. 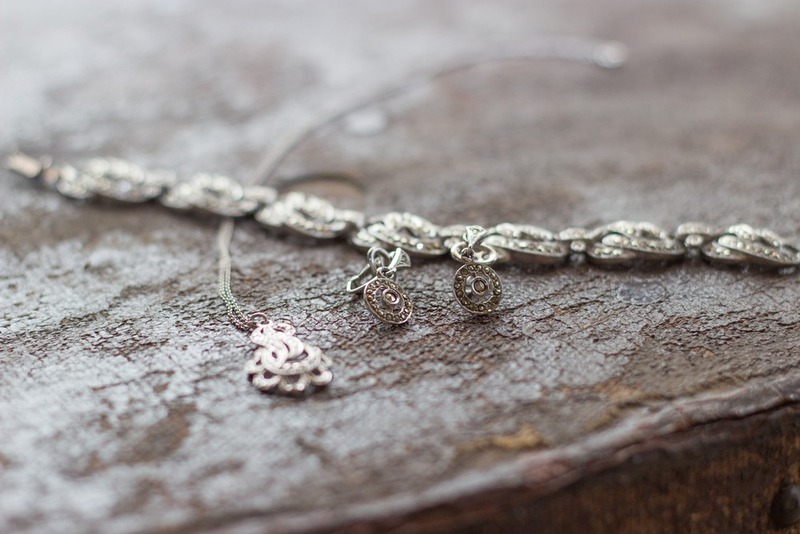 Heirloom jewelry often gets handed down from bride to bride in one family, resulting in a matching set to wear when walking down the aisle. However, trendier brides might find that wearing a set can stifle their own personal style. 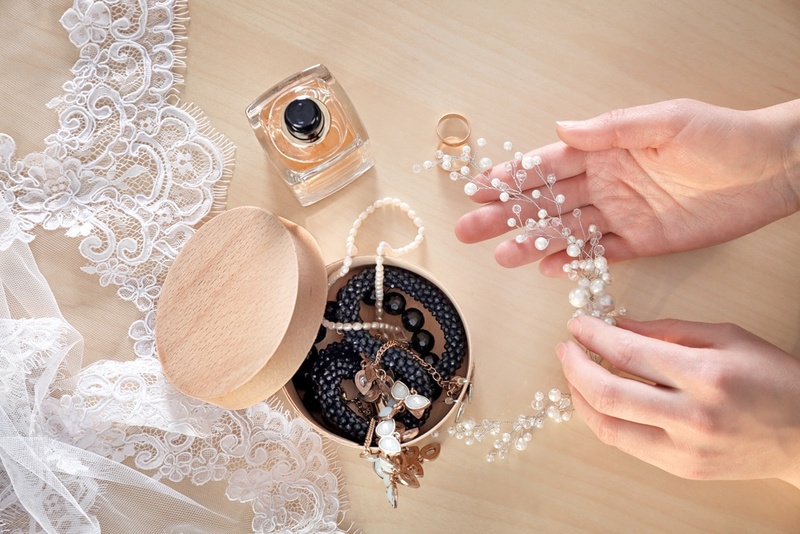 How can you decide between tradition and trend when it comes to matching bridal jewelry? Heirloom, vintage, and antique wedding gown accessories have the kind of patina and history no trendy bling can hope to achieve. When you wear a matching set handed down to you by a family member, you’re essentially showcasing and continuing a legacy that is expected to last. It isn’t called a matching set for nothing. Earrings, bracelets, necklaces, and brooches all follow a pattern, feature a certain stone, and are set in a similar way so as to come up with a harmonious look. The matching set, especially when very old and has its own significant history, can become the centerpiece of your bridal theme and outfit. Many brides plan around these sets so they harmonize well with the cut, color, and style of the wedding gown as well as the rest of the bridal trimmings. Jewelry Handed Down as Heirloom Pieces Won’t Not Cost a Thing! The best thing about family heirloom pieces is that they are free. You get to keep them after the wedding, too. Trendier brides might want to go for modern jewelry pieces to mix and match themselves. Having a matched set can be restricting as far as following your own tastes is concerned. You might find that buying individual wedding dress jewelry is the better bet. Many matching pieces, especially vintage ones, have ornate and sumptuous settings that look best at night-time. When worn during daytime wedding ceremonies, they can look a bit gaudy. An Older Set Can Clash With Face Shape, Makeup, Style of Dress, etc. Planning around an existing jewelry set can present problems such if the pieces do not flatter the shape of your face, tone of your skin, hairstyle, makeup, and preferred dress style. You may have to compromise some things in order to come up with an overall look that doesn’t clash. Whether you plan to stick to tradition or buck trends, matching bridal jewelry is a personal decision that’s different for every bride. Maybe you’re asking questions such as, should you wear a necklace with a strapless dress? If you have concerns about the modernity of your wedding dress clashing with the antiquity of a matching set, then individually-chosen pieces could be the right choice. But if you really love the tradition of matching sets, then don’t delay in looking for the right vintage wedding set to wear on your big day.